Now is a great time to consider becoming a radiological technologist in Illinois and the rest of the US. 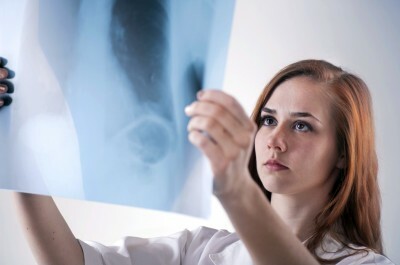 The radiology field, like other medical fields, is growing nationally at a rate twice as fast as average, leading to an estimated 13% increase in new jobs over the course of a decade. The state of Illinois is no exception, and in fact this state is one of the nation’s largest employers of radiological technologists. Currently, there are about 6,990 radiological technologists working in the state, with many more expected over the next several years. In Illinois, the average annual salary for a radiologic technologist is currently about $63,100, with an average hourly wage of $30.34, which is greater than the national average annual salary of $60,230. However, many of this state’s largest radiological technologists are located in major cities such as Chicago which have a very high cost of living. Salaries may vary widely for radiologists in this state, and are influenced by factors such as an employee’s education level, employer and specific job title. More information on Rad Tech salaries in Illinois. Working professionals in Illinois must have a state license, which needs to be renewed at the end of every 2-year term. The license is acquired by passing the state certification exam or, like 36 other US states, by passing the American Registry of Radiologic Technologists (ARRT) certification exam. Continuing education requirements must also be met to be licensed in Illinois, which range from 6 hours to 12 hours every 12 months. Depending on the specific profession, such as nuclear medicine, additional permits may be required. The programs listed below are not currently accredited by the Joint Review Committee on Education in Radiology Technology (JRCERT), but most are accredited by other entities and offer quality instruction and training for aspiring radiological technologists. Illinois is home to dozens of healthcare centers that employ radiologic technologists, with most concentrated in Chicago, Springfield and other urban areas. While the state’s major hospitals hire the largest number of radiology professionals, smaller clinics and offices hire radiological technologists as well. Radiologic technologist professionals and students in Illinois should consider joining the Illinois State Society of Radiologic Technologists (ISSRT), which provides career support resources such as exclusive job lists, student support and conferences. Radiology students can also visit the Joint Review Committee on Education in Radiologic Technology (JRCERT), which provides more information on radiology programs and education.